My name is Jessica Burke, I live in Northern Kentucky with my wonderful husband Patrick, our wild and crazy four year old son, William and two loving pups! Photography has always been a passion of mine ever since I was young. I enjoy capturing families special moments that they can cherish for a lifetime. 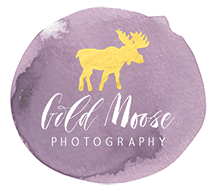 Thank You for your interest in Gold Moose Photography and I look forward to capturing your special moments! My business came about simply because I have loved photography for a long time and after practicing as a hobby for many years, I finally decided to take a leap and take my hobby to the professional level. Once I made this decision, I was racking my brain for a suitable name. Many different options came to my mind but nothing seemed to fit. This was in 2016 around the time of the Olympics. As I watched Michael Phelps receive his 4th Gold Medal of the year, it occurred me to incorporate Gold into the name. Gold is one of the most precious metals, and as a photographer I strive to capture the most precious moments of life. The Moose in the name came about because moose are my favorite animal. When I was in high school I had the opportunity to travel to Colorado several times and got to see moose up close in the mountains. They’ve been my favorite ever since, I even incorporate a rustic moose “theme” into my Christmas decorations at home each year.